Summer is here and whether you are planning a beach getaway or you just want to kick back and relax in your living room, we have the best summer activity for the whole family. It’s time to break out the books and catch up on some reading. Here’s a highlight of a few of our amazing NH Made members to get you excited about reading this summer. K.M. Doherty is an award-winning author of the Thomas Holland Series. 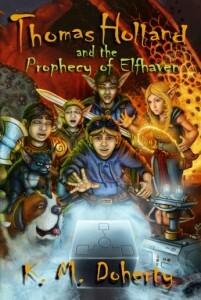 Thomas Holland and the Prophecy of Elfhaven is a mystical fantasy that has become extremely popular with kids and adults alike. Follow Tom through his magical journey and see if he is able to save a world that depends on him or if he inadvertently brings about its destruction. There is a second installment to this series that you can also check out called Thomas Holland in the Realm of the Ogres. Laurel A. Smith has written a number of wonderful children’s books: The Quest for Quinnie, Pinboy, Hip Hopper the Hip Hop Grasshopper, and Miss Olivia goes to Bolivia. These books are all geared toward younger audiences from preschool to fourth grade. Laurel’s books will bring children through many journeys while also teaching them a thing or two. Her memoir My Parents Told Me to NEVER Put Anything into Writing, Oops! is recommended reading for all and is filled with wit and humor while also touching on some heartfelt moments. This book gives you over forty funny tales of being a child, raising children, and surviving the elements of life. 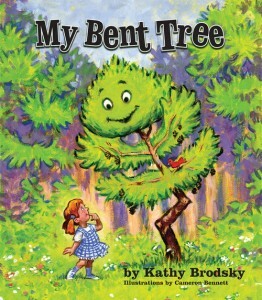 Our next author, Kathy Brodsky, is a psychotherapist, poet, and nationally award-winning author. She has a number of picture books (including one in Spanish), as well as a book for adults in print. All children’s books include hand-painted illustrations, recurring characters, and important life lessons and messages all in clever rhyming verses. Kathy takes you through her stories and at the end leaves room for great discussion and learning opportunities. Last but certainly not least, Mitchell Comics gives a mix for all ages of retro action, adventure, and educational comics. 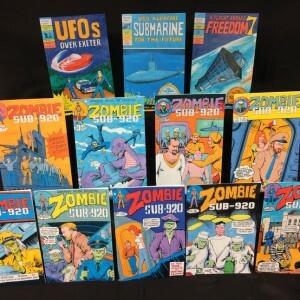 The ZOMBIE SUB series is ten issues long and gives the reader an action-packed mysterious and thrilling read. Another fabulous read is the UFOs Over Exeter which follows the true story of one of the most famous and well documented UFO cases in history and takes place right in New Hampshire. With summer here, reading is an incredible way to create memories with your family and these local, hand-picked authors are sure to help you create more.